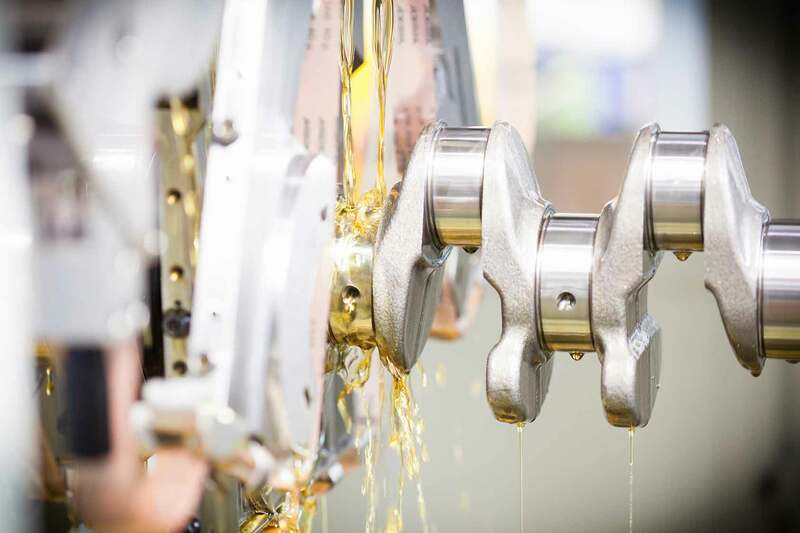 Our product portfolio comprises machine tools, tape- and stone-finish attachment devices, tools, processes and technologies for the Microfinish / Superfinish precision machining of different work pieces and surfaces. Microfinish is also known as Superfinish, Finishing or Short Stroke Honing. With MicroStar FSG/EVO, you can perform multiple Microfinishing operations in a single setup. MicroStar is the most efficient Microfinish solution for machining workpieces with flat and convex surfaces. The NanoStar is a cost-effective solution for smaller production volumes of plan or spherical surfaces. The BearingStar is the platform for microfinish machining of ball and roller bearing raceways. The CrankStar was specially developed for microfinishing crankshafts or truck crankshafts. The CenterStar is the platform for Microfinish / Superfinish machining of shafts. 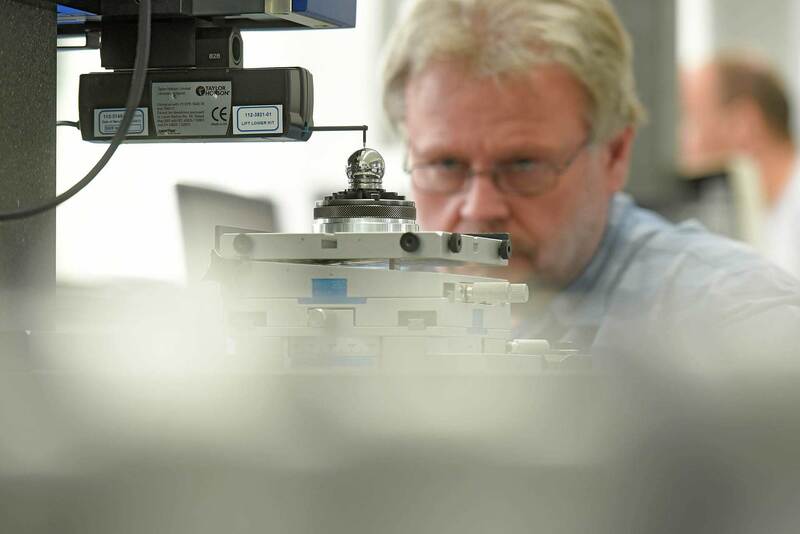 The Sphero is the Thielenhaus platform for the flexible machining of spherical parts. Microfinish of shafts is particularly easy with Thielenhaus' CUBE due to its innovative touchscreen software. Infinity is the solution for continuous Microfinish of cylindrical or tapered rollers and shock absorber rods. Double-disc grinding machines process flat and stamped parts in a continuous, plunge or oscillating process. Use your existing carrier machine, such as as a turning or grinding machineas a Microfinish platform. Machines are subject to extremely demanding operating conditions. Especially in multi-shift production, production maintenance is key. That's why we use parts and components only from selected suppliers which are of the highest quality. Machines and processes must continually be adjusted to new tasks. Our service workshop is therefore specialised in the modification and retrofitting of machines as well as parts and general overhaul, which can be conducted either at our facilities or on-site with the customer. As part of agreements in place with our customers, corresponding replacement parts packages and assembly groups are held ready for use. Upon receipt of a replacement part request before 5 pm, parts will be dispatched on the same working day. Product reliability also depends on the machine’s competent operation by a professional. After the plant has been set up, the customer’s staff receive instruction which enables them to safely operate the machine and to familiarise themselves with all the settings necessary for its operation. Benefit from our Microfinish / Superfinish subcontracting from the market leading manufacturer of high precision machine tools. We offer flexible and smart Microfinish solutions ranging from start-up productions, small and medium lot sizes or prototype processing. The highest level of component precision is a prerequisite for better performance, higher operational readiness, longer service intervals and efficiency with regard to the use of energy and raw materials. Performance is greatly improved by the optimal level of surface quality and shape tolerances. This is where the Microfinish process comes into play, which is also known as Superfinish, Finishing or Short Stroke Honing. Once again, Thielenhaus Technologies was included in the list of "hidden champions" of the renowned Wirtschaftswoche. Those who want to secure a place in the world market leader index, which is created by the renowned University of St. Gallen, must meet strict criteria: ✓ Companies must have the highest or second highest market share in their segment✓ Your annual turnover must exceed 50 million euros✓ Of which companies must generate at least half abroad✓ In addition, world market leaders must be active on at least three continents If you also want to work for a hidden champion, you should apply quickly in our career area. Today sees the release of www.thielenhaus.com in a brand-new, modern look. The site navigation is particularly well structured, and is broken down according to our machine platforms. In addition to the latest innovations, the homepage also offers quick access to our products and services. Our new website is also 100% optimised for mobile devices, and offers fast loading times even when on the move. With the new Event Planner you can now enjoy an overview of upcoming exhibitions and events. Please take a little time to explore our new website. 42925 W. 9 Mile Rd.